KPMM is the first professionally run exclusive center for physiotherapy in the city of Cochin, run by Dr. Tiji Mathew Thomas (PT), offering the best treatment and facilities. Physiotherapy also known as Physical therapy is a health care profession, which views human movement as central to the health and well being of individuals. It is a holistic approach to healthcare, and plays a vital part in pain relief, healing and rehabilitation in most medical and surgical conditions. Physiotherapy service has its applications in all most all disciplines of modern medicine. KPMM Physiotherapy Centre is located at Palarivattom, with close proximity to the city center as well as the NH 47 and Vyttila junction. 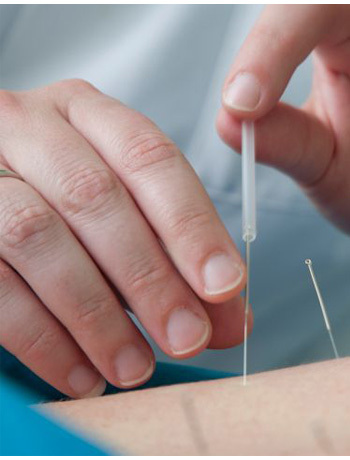 Acupuncture in Physiotherapy is backed with research studies.Modern acupuncture with the advent of technological development has found more acupuncture points than the classical one. Iontophoresis is the introduction of drug locally in the form of ions. the advantage is that the drug reaches the target area in correct concentration and any untoward effect of the drug is minimised.Iontophoresis can even save a surgery. For patients with Type 2 Diabetes, regular exercises and lifestyle modification has a good result on their general well being. Tailored aerobic exercise programme and advices on foot care helps patients to have control over their problems. KPMM offers their expertise in knee problems such as soft tissue injuries [ meniscal injuries, ligament tears] Special packages available for post-surgical cases viz. knee replacement surgeries, ligament repair/ reconstruction surgeries. Mechanical reasons attribute for the major reason for low back pain and neck pain. Often minor posture deviations lead to gradual core changes and if left untreated leads to neurological impairments which may need surgery. Post-Menopausal osteoporosis of Spine is a major cause of back pain, numbness and altered sensation over the legs and feet, collapse of the vertebral column with hyperkyphosis of thoracic spine and loss of normal lumbar lordosis. Varicose Veins and lymphedema: of the legs is a common finding both in the young and the aged due to the present lifestyle. Circulation deficiency or venous insufficiency leads to pain, fatigue, infections, ulcer, swelling, pigmentation. Pain and joint stiffness along with sleeplessness is a commonly experienced by patients in a variety of Shoulder conditions. Whether it be periarthritis of Shoulder also known as adhesive Capsulitis or Frozen Shoulder . Sports injuries of Ankle like ankle sprain, Ankle dislocation; common foot ankle conditions like Achilles tendonitis, Plantar fasciitis, Calcaneal spur presenting with acute heel pain during initial steps in walking after rest or sleep, responds well to Physiotherapy. 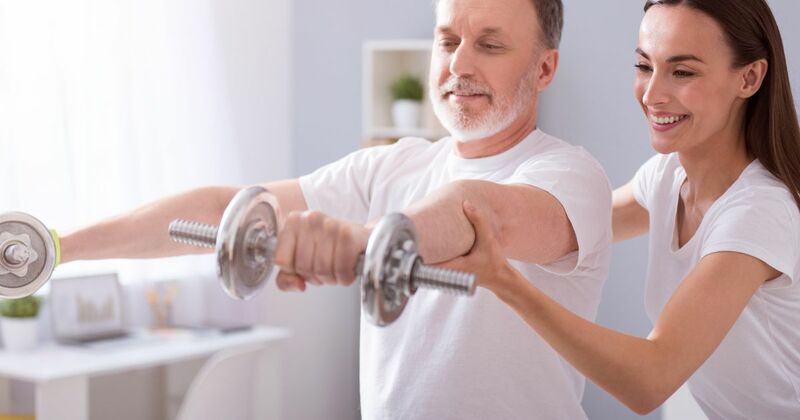 The highest risk in old age the risk of fall and it can be can be prevented well by proper body mechanics and training the anti - gravity muscles to tone up well against obstacles. Residents Associations, Sports Clubs, Corporate Offices, Professional bodies can avail our Resource Persons and our Senior Consultant Physiotherapist Dr Tiji Mathew Thomas PT for informative talks on subjects like back pain, neck pain, Knee pain etc. Bells palsy : or lower motor neuron lesion is characterised by flaccid paralysis in which the muscles of one side of the face is hypotonic. It is due to lesion of the seventh cranial nerve the facial nerve which supplies the corresponding side of the face. Sideways curve of the Spine is known as Scoliosis and a mild angulation can be seen in most people. Right and left part of human body is not symmetric in all aspects. Present day lifestyle is occupation oriented and we often perform repetitive tasks which form a part of our routine. Over a long period, this leads to repetitive stress injuries which lessens one's professional and active life. From a common abdominal support to complex bionic arm our experience over 18 years in the field will help you in ideal, and economic one for your recovery. For patients who have undergone correction sugeries eg: Bankarts surgery for recurrent dislocation of the shoulder , Joint replacement surgeries such as that of the knee hip shoulder etc., or soft tissue injuries such as meniscal and ligament tears, we have the best facilities for the patient wih the latest international protocols for the same. Often in the present world the most common cause for musculoskeletal disorders is our lifestyle. Sedentary lifestyle combined with a routine of mental tension and stress and poor ergonomics and posture at work all contribute to repeated strain injuries[RSI]. Custom made unique design orthoses according to your body requirements. 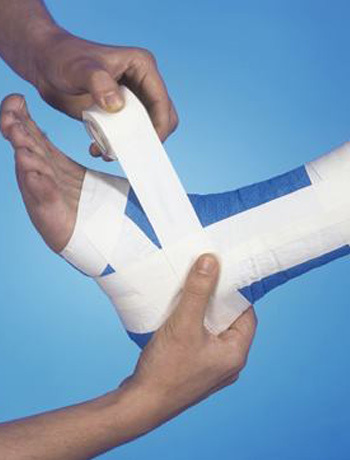 In some cases,you may even save a surgery with use of orthotics. Unique KPMM designed variable tension cable system allows prolonged use of orthoses for which serial splinting is indicated. We have Qualified and Experienced Physiotherapists to offer you Manual Therapy Techniques, relieve you of your pain and ailments. Almost all schools of manual therapy concepts are practised according to requirement. The centre is well equipped for manual therapy with imported patient securing straps, belts , wedges,cuffs . Air-conditioned matted exercise area for Exercise Therapy. Supervised by a qualified Physiotherapist. Computerised customised exercise programme after an initial thorough assessment. All imported- Single station multiexercise gyms, stepper- twister - gait simulator, Elliptical exercise bike, Motorised treadmill, Swiss balls, Foam rollers, B.O.I.N.G, Fitter first balance boards Thera-band, Thera-tubes, Flex bars, Pro-stretch [USA], Suspension apparatus, Quad-Ham Pro[ unique KPMM design],Variety gait training equipments, Hand exerciser unit with imported items. Latest international sports and manual therapy strapping techniques are available at KPMM Physiotherapy Centre. 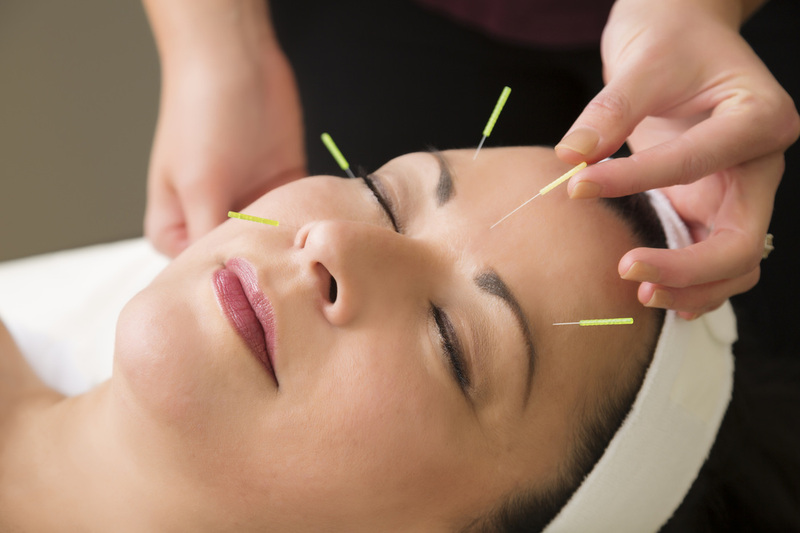 Laser acupuncture, auriculotherapy [ear acupuncture] sterile needle acupuncture, moxibustion are provided. State of the art electrotherapy unit, well equipped with all electrotherapy modalities and procedures like computerised S-D curve plotting, iontophoresis, Bio-feedback. Portable patient use pre-programmed units are also available for home-use. Unique KPMM designed easy to install and use exercise kits are available for use at home. Print-outs and CDs of individually tailored exercise regimes. Patient education booklets are available for arthritis, trauma, first-aid, diabetes and foot care, stroke rehabilitation etc available upon request.